You are at:Home»News»Nation»35 days gone by: Where is pastor Raymond Koh? 35 days gone by: Where is pastor Raymond Koh? KUCHING: A harrowing 35 days have gone by for the family of missing pastor Raymond Koh Keng Joo without news of his whereabouts, well-being or who exactly is responsible for his disappearance. In a statement yesterday, Koh’s wife Susanna Liew thanked the public for their solidarity and for attending a vigil held in Petaling Jaya as the Christian community came together to pray for Koh’s safe return. “My husband has been missing from my life for 35 days now. This is the first time since we got married that I have been this long without his companionship, his advice, his love, his help, his counsel,” she wrote in the statement. Liew revealed that in 2004, Koh left his religious ministry as a pastor to instead focus on secular charity work because he felt a deep sense of obligation to the poor. She went on to speak about Koh’s dedication to help the poor, and his charitable undertakings. “These are the roots of Raymond’s belief in an ever-loving God of the meek, the weak and the poor. This is what has motivated him as a man of faith. He didn’t pick or choose whom he helped. He founded Harapan Komuniti as a non-profit undertaking that supported this unconditional stand to not discriminate who should or should not receive assistance and support,” she explained. Koh was abducted on Feb 13, in a daring daytime kidnapping capture on CCTV that showed multiple vehicles blocking Koh’s car and even redirecting traffic as they abducted him. “My husband’s abduction is unprecedented in our country of many races and religions. Until Raymond was abducted in this shockingly bold and professionally ‘expert’ fashion, we have never seen this kind of criminal violence against a man of faith, known for his charity work. “Yes, I want to know where my husband is. I want to know if he is alive or not. I want to know who is responsible for this. I want to know why it is so difficult to identify and apprehend those responsible. Yes, we want answers. Yes, we call for justice. Yes, we are frustrated by 35 days of silence. “Let us not succumb to despair and hate. If that happens, how different are we from those evil abductors who kidnapped my husband?” she said. On March 10, police arrested a man who had attempted to demand a sum of money for Koh’s release. Lam Chang Nam, 31, a part-time Uber driver, was subsequently charged with extortion. His case is set for mention on April 26. 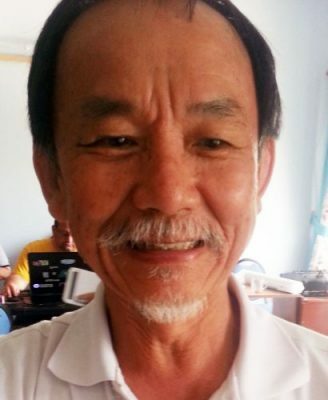 Koh’s family is offering a RM100,000 reward for information leading to the missing pastor’s safe return.